30 Years of VOLTRON!!!! Officially celebrate on September 10, 2014. We are bringing you a special limited edition print to celebrate this amazing robot anniversary! This gorgeous print by Vincent Aseo will be available to purchase starting this Wednesday, 9/10/14 at 12:30 PM EST! 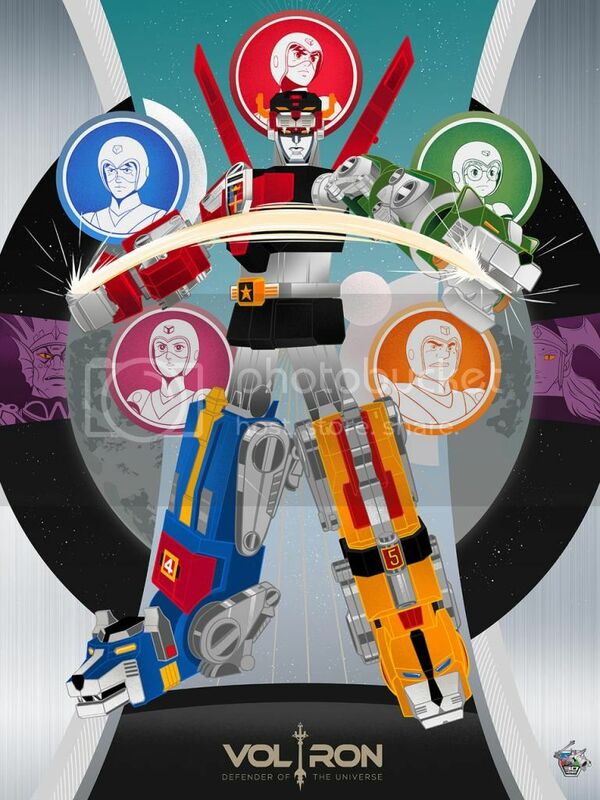 Voltron will be available in 3 different variations. Don't miss out on the extremely limited and collectable print! Very low numbers! See more below about this amazing release!